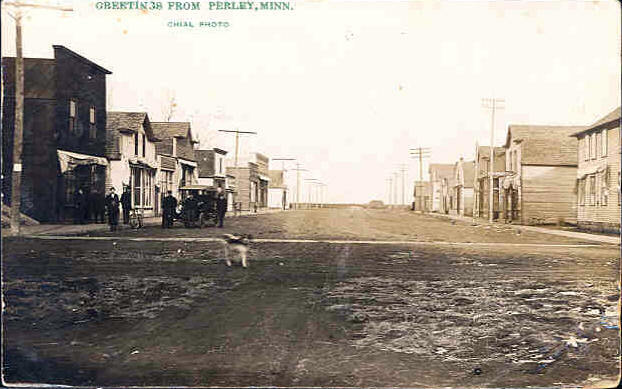 Do you have photos, historical accounts or other items pertaining to the Perley area? Would you like to share this historical information with the world? 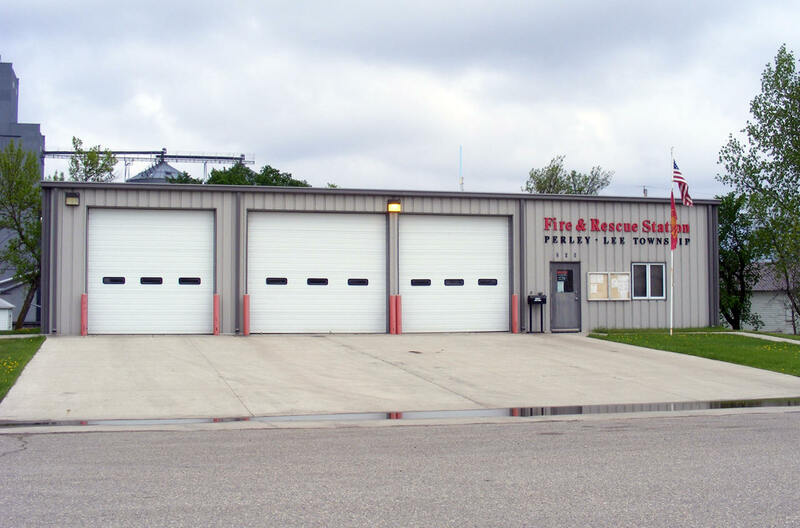 LakesnWoods.com would like to publish your Perley photos (current or historical) or historical accounts on this website. Original materials can be returned and your privacy will be respected. Perley is a city in Norman County, Minnesota. 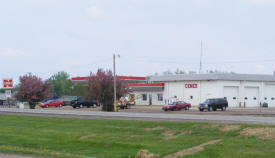 US Highway 75 and County Road 39 are major routes in the community. 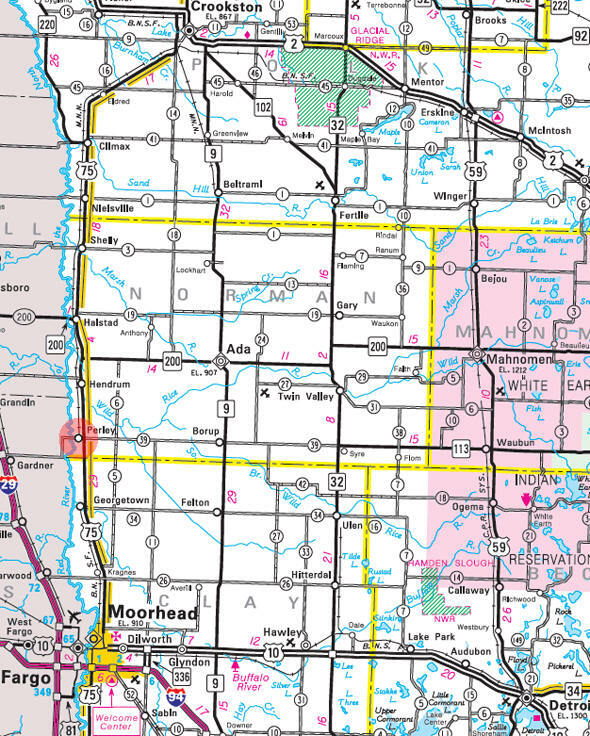 According to the United States Census Bureau, the city has a total area of 0.24 square miles (0.62 km2), all of it land. The elevation is 876 feet (267 m). As of the census of 2010, there were 92 people, 48 households, and 28 families residing in the city. The population density was 383.3 inhabitants per square mile (148.0/km2). There were 53 housing units at an average density of 220.8 per square mile (85.3/km2). The racial makeup of the city was 93.5% White, 1.1% Native American, 3.3% from other races, and 2.2% from two or more races. Hispanic or Latino of any race were 7.6% of the population. There were 48 households of which 16.7% had children under the age of 18 living with them, 50.0% were married couples living together, 6.3% had a female householder with no husband present, 2.1% had a male householder with no wife present, and 41.7% were non-families. 39.6% of all households were made up of individuals and 6.3% had someone living alone who was 65 years of age or older. 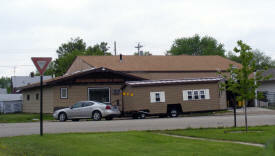 The average household size was 1.92 and the average family size was 2.50. The median age in the city was 48 years. 15.2% of residents were under the age of 18; 4.3% were between the ages of 18 and 24; 22.8% were from 25 to 44; 39.2% were from 45 to 64; and 18.5% were 65 years of age or older. The gender makeup of the city was 52.2% male and 47.8% female. PERLEY, a city in section 30 of Lee Township, was named in honor of George Edmund Perley of Moorhead. He was born in Lempster, N.H., August 19, 1853; was graduated at Dartmouth College, 1878; was admitted to practice law in 1883 and came to Minnesota the next year, settling in Moorhead; was a representative in the legislature in 1903-5. The city began as a Great Northern Railway village in 1883 and was incorporated as a village on September 27, 1906. 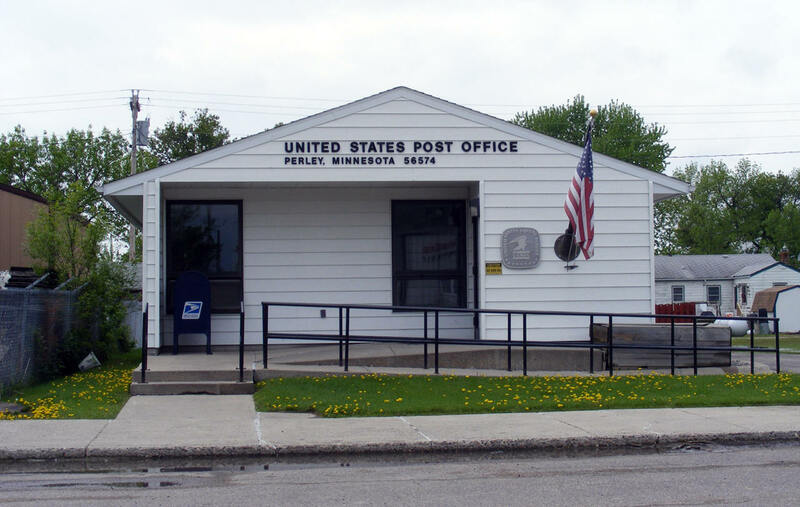 The post office was first named Aabye, 1884-85, located four miles southwest on the river in the trading post of Andrew T. Aabye, postmaster, who moved his store into the village and continued as postmaster when the name changed to Perley. The "King of Trails" (KT) was designated by the State of Minnesota as "The Historic King of Trails" in 2001. Learn more about the history of the KT, view maps, and check out events, including the Highway 75 Marketplace by visiting the "Historic King of Trails" web site. No schools locally. 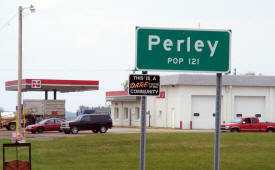 Perley in within the boundaries of Norman County West School District #2527. 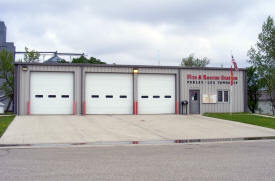 Elementary students attend West Elementary School in Hendrum and High School students attend West High School in Halstad. 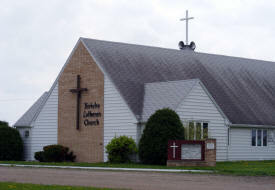 Perley Lutheran Parish is comprised of two vibrant congregations just north of Fargo-Moorhead. Kirkebo Lutheran is in the rural town of Perley, MN, and Nora Lutheran is out in the country near Gardner, ND. These two congregations have been joined for most of the past 100 years. Find out why these two congregations might be the place for you to worship! 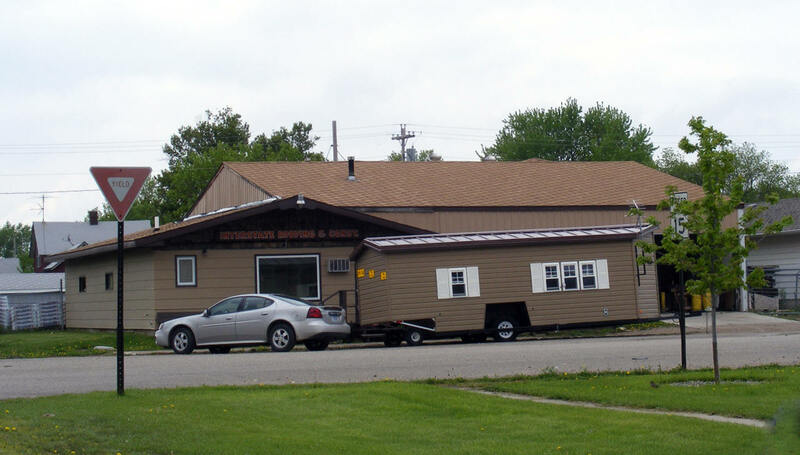 Interstate Remodeling, Inc. has been the company thousands of contractors have trusted in the manufacturing of quality roofing products. 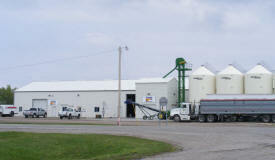 A family owned and operated company, we measure our success on the level of success we help our customers achieve. We remember our roots and the founding principles that this company began with. Trust. Reliability. Dependability. Quality.